Is your deck coating in need of resurfacing? 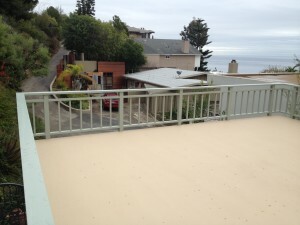 Prestige Deck Coating in Newport Beach is your solution for deck waterproofing in Orange County CA. We install over most types of existing deck coating, wood, or concrete surfaces. Having a delaminated, bubbling, or dry-rotted deck can be dangerous. With our slip resistant deck resurfacing system you can rest assured your deck coating is sealed and secure. 1. Staple metal lathe to plywood substrate. 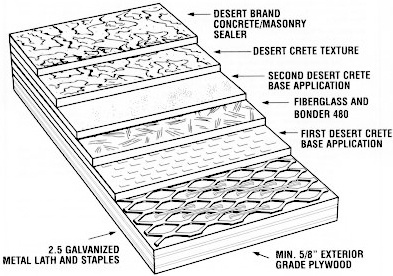 We adhere our industry grade diamond shaped metal lathe to your deck’s subfloor with 24 inch staples per square foot. 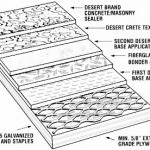 This lays a solid foundation for the deck waterproofing system. 2. Trowel polymer modified concrete over metal lathe. Our polymer modified concrete mixture bonds with the plywood/lathe foundation to give strength and prepare for the waterproofing fiberglass layer. 3. We lay down fiberglass and carefully fit around edges and drains. What sets our system apart from many others on the market is this layer. We guarantee a waterproof deck because we use a fiberglass and resin combination to insure proper sealing. Our Bonder 480 over cloth fiberglass saturates into the polymer based concrete. 5. Second layer of polymer modified concrete for extra strength and flexibility. Next, we apply an additional skim coat of polymer modified concrete to give your deck in Newport Beach extra strength and to smooth over the texture of the fiberglass. 6. Spray your choice of texture coat. 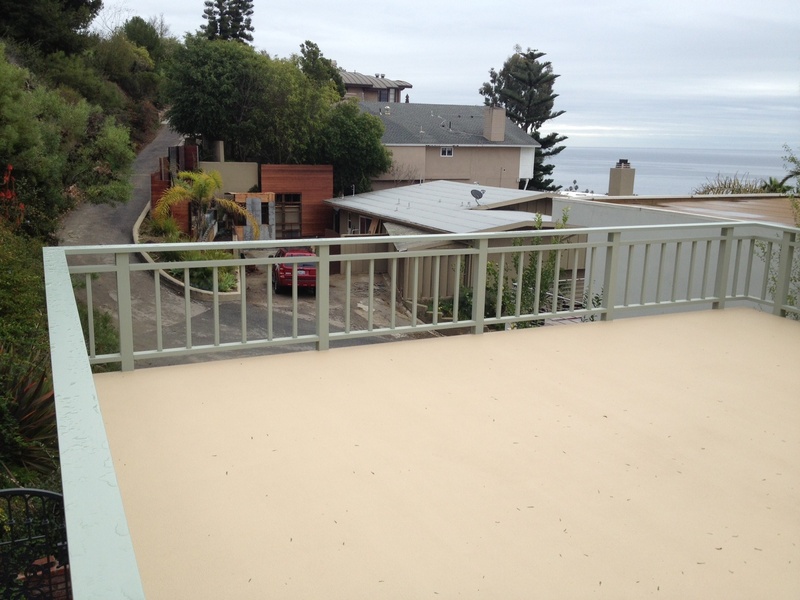 To make sure you have an anti-slip grip on your deck in Newport Beach, we spray an aesthetically pleasing “orange-peel” finish concrete layer. 7. Apply 2 coats of water resistant paint sealer of your choice. To achieve a truly redundant deck coating and waterproofing experience, you have your choice of 16 different types of color paint sealer. 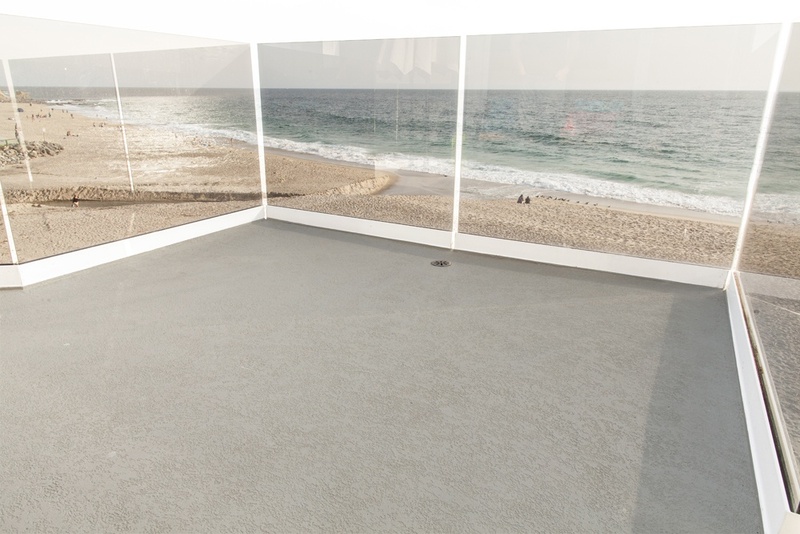 Go nuts, indulge your creative juices, they won’t puddle or leak into this Newport Beach deck! At Prestige, our deck resurfacing materials are strong enough to prevent leaking and flexible enough to avoid cracking. Hard, strong, long-lasting but adaptable are the key features of our coating installation. Our deck coating in Newport Beach has an outstanding resistance to weather, abrasion and grease, keeping your deck look as new as the day you got it. 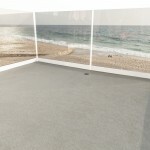 Prestige in Newport Beach offers the best most durable way to waterproof your deck. Our deck projects are virtually maintenance free and will out last the weather. So, welcome the rain!